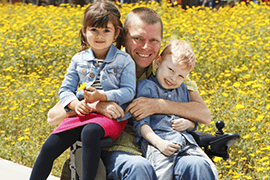 The National Disability Insurance Scheme (NDIS) is an Australia-wide scheme established to assist those living with a lifelong disability to meet the reasonable and necessary costs of living life to their fullest potential. 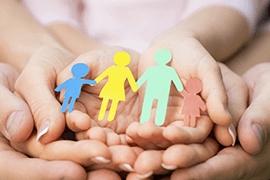 Similar to Medicare, the NDIS is an insurance scheme approach that shares the costs of assistance across the wider community. 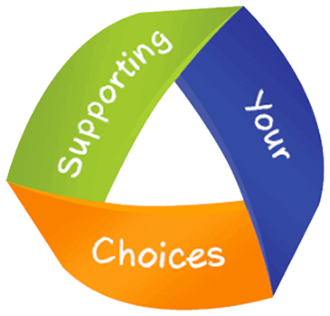 Essentially the NDIS provides individuals with the choice and control for how they receive services which help them to achieve targeted goals for their life. Once assessed as being eligible for the Scheme, Participants complete a plan that outlines their goals and aspirations and identifies funding available to help achieve these goals. 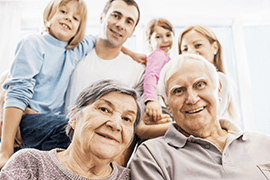 Carers and Disability Link is a registered NDIS provider. This means we can offer a range of services that are funded through the NDIS to help participants achieve the goals of their NDIS plans. 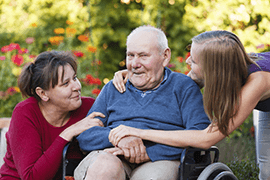 What else does Carers and Disability Link offer? What are our Fees? What do we charge? We will only charge the scheduled fees for NDIS participants—there will be no hidden extras, no surprise fees. 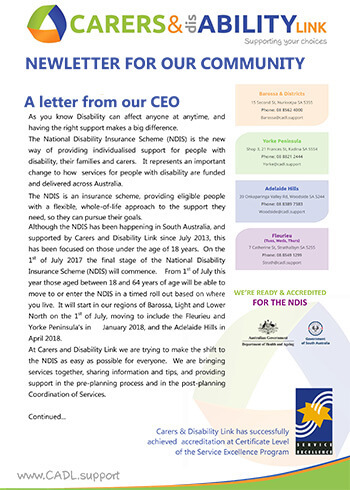 I have an NDIS Plan and have been approved to receive Plan Management and/or Support Coordination – what should I do? Contact Kathryn Soar on 8562 4000 to discuss your needs. She will work with you to ensure you are able to access the supports approved in your NDIS Plan. JOIN TO RECEIVE OUR eNEWS! Can I apply for NDIS?